Elizabeth LaPenna is an award winning visual artist whose work is held in both private and corporate collections throughout the United States. Elizabeth’s formal studies include Syracuse University, Syracuse, New York, Rollins College, Winter Park, Florida, Maitland Art Center, Maitland, Florida, and Central Piedmont Community College, Charlotte, North Carolina. In addition, LaPenna studied with artist Edith Ferillo, Sally Miller, Boyce Kendrick and Blaine Hall. Prior to becoming a full-time artist, Elizabeth worked as an artists’ agent, gallery assistant, and art teacher. She was responsible for establishing the art department and teaching at Fairview School in Winter Park, Florida. 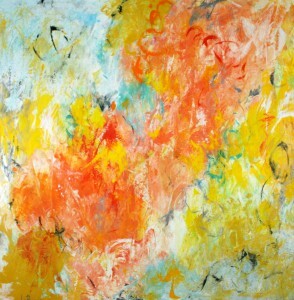 She has also served on the board of directors and was exhibit chairman of the Charlotte, North Carolina Art League. She has been juried into various international group shows, such as Miami Spectrum 2015, and the upcoming Art Expo, N.Y.C. LaPenna was selected Tennessee Artist of the Year, 2015-2016, by Twin Cities EXPLORING TOSCA, as part of their American Artists Series. She is represented by A.D.C./Blink Art Resource, Cincinnati, Ohio. Elizabeth Lapenna: Expressions in Color will be on exhibit March 1 through May 1. Located at the corner of Second and Commerce Streets, the Customs House Museum is the second largest general museum in Tennessee. For more information on above event contact Terri Jordan, Exhibits Curator, at 931-648-5780 orterri@customshousemuseum.org.